The same day that Steve Jobs passed away, a Civil Rights icon died as well. 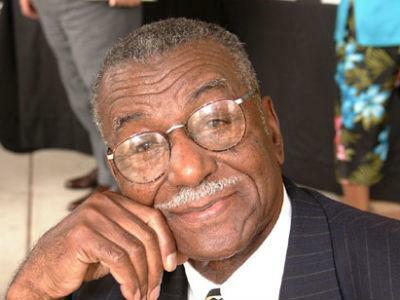 Fred Shuttlesworth, a pastor, a freedom rider, and overall badass, died at the age of 89 in his hometown of Birmingham, Alabama on Wednesday. Though his passing received some play, it was largely overshadowed by the technology icon’s death. I really shouldn’t be surprised, but it saddened me nonetheless. I’ll be honest, I didn’t know who Fred Shuttlesworth was before he passed away and I’ve always been interested in the Civil Rights movement. Fred Shuttlesworth was there right alongside Martin Luther King Jr., stood up against the KKK, and survived multiple attempts on his life, but his story is mostly left out of the history books. On Wednesday the majority of Facebook updates were aimed towards one man- Steve Jobs. Many people felt as though they lost a family member. There is no doubt that Steve Jobs has greatly influenced modern culture- many of our lives revolve around the products he’s designed. But didn’t Fred Shuttlesworth influence modern culture? Hell, he helped change the way people think, the way societies interact. His journey involved multiple beats, bombings, ridicule, jail time, and financial and emotional hardship. He was willing to sacrifice his life to ensure that future generations had their God-given rights. Why is it that the name “Fred Shuttlesworth” was not on everyone’s Facebook statues Wednesday? Why does a man like him get overlooked? -In 1956 a Klansman threw dynamite outside Shuttlesworth’s bedroom at his church. The dynamite tore apart the room but left Shuttlesworth mostly unhurt. In 1958, another bomb was placed near Shuttlesworth at his church, but a churchgoer noticed it and rid of it before it went off. -Shuttlesworth helped organize the Southern Christian Leadership Conference and Freedom Rides alongside Martin Luther King Jr.
-Shuttlesworth devoted himself to the Civil Rights cause. He participated in sit-in’s, protests, he stood up against racist officials and Klansman and was willing to die for it all. He estimates that he went to jail “30-40 times”. Steve Small, former Jefferson County Commissioner, said that “no elected official of color in this city, this nation, would be where they are today” without Shuttlesworth. Steve Jobs, you were great, but I know who my hero is this week. i agree. i brought him up a lot over the past few days and most people responded with “well, he’s not popular anymore”. i just shook my head. I had a similar experience this week. A guy who’s possibly my favorite musician of all time (Bert Jansch) died the same day as Steve Jobs. Steve Jobs was a child prodigy who got rich in his twenties, but Jansch experienced very little commercial success, yet kept on performing and believing in what he was doing. It was a much bigger story to me. Meanwhile, you have people like Shuttlesworth, who I didn’t even know about until now. The world is a little emptier without Jansch or Jobs, but I think it NEEDS people like Shuttlesworth in order to survive, and possibly more than it needs musicians and gadgeteers! I read about Bert Jansch too. Didn’t another person die on Wednesday too?